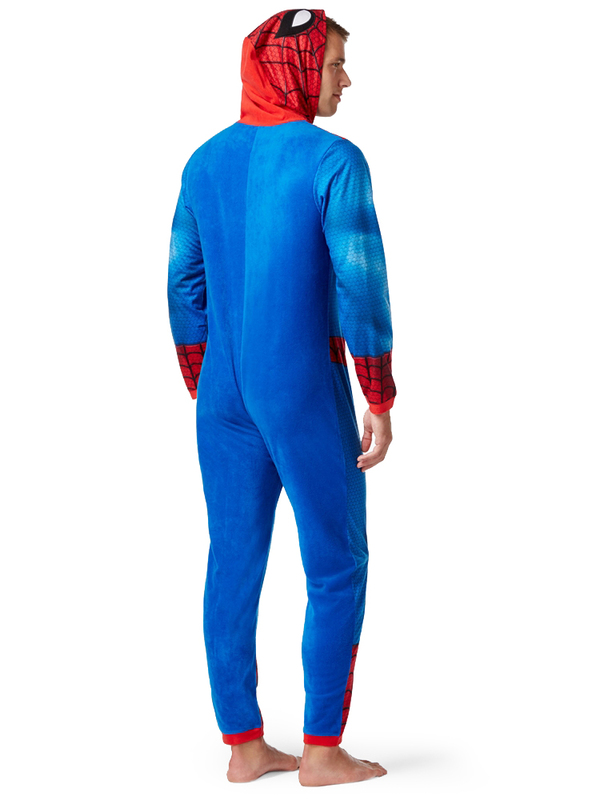 Web-swing this Halloween into this Spider-Man Adult Mens Onesie with Hood. 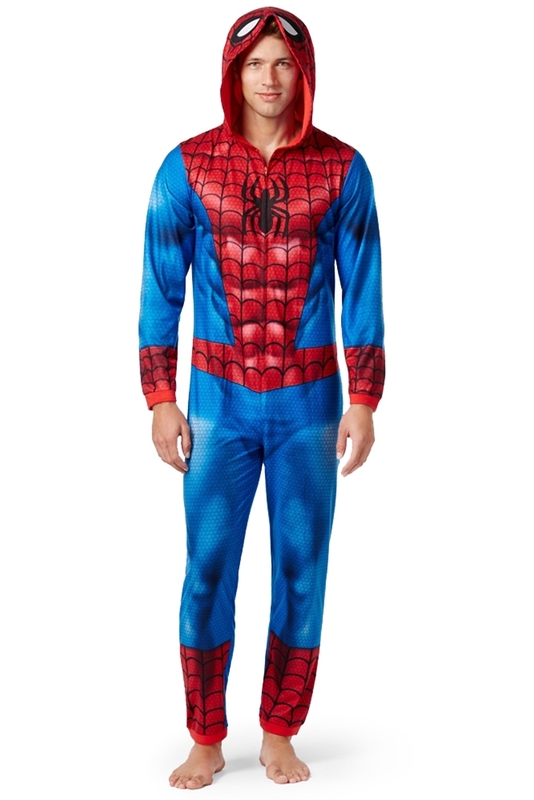 Made of 100% polyester, this adult men’s onesie is modeled after the costume worn by your favorite spider-themed superhero. The adult onesie features an attached hood and front zipper closure. The front of the onesie is detailed with printed black webs, a black Spider-man logo at center chest, and features white eyes on the attached hood. Great for strolling around Halloween, Comic Con or everyday wear, this adult onesie is a quick and easy costume for all you wall crawlers out there. Machine Wash Cold with Like Similar Colors, Do Not Bleach, Tumble Dry Low, Cool Iron as Needed.